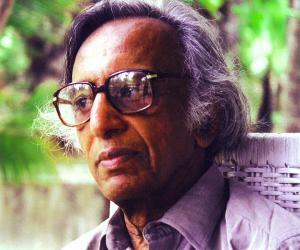 Tyeb Mehta was one of the prominent contemporary Indian painters. 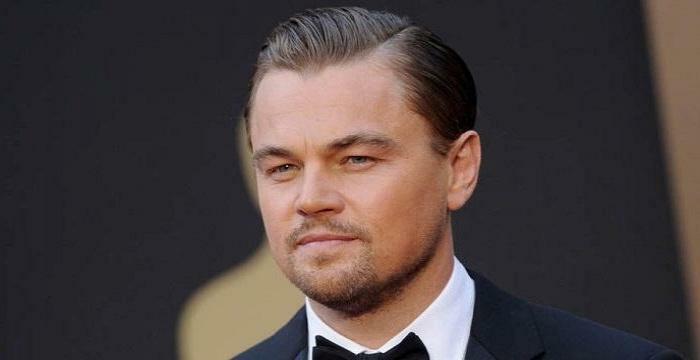 With this biography, explore in details about his childhood life, profile, career, achievements and timeline. Not every day a man with as exceptional artistic calibre as Tyeb Mehta is born. A supremely talented Indian painter, Tyeb Mehta’s paintings epitomized the modern language of Indian art. He is revered to as a cultural hero who through his paintings brought out the evils of the contemporary society, most dominantly their suffering, anguish and dilemma. 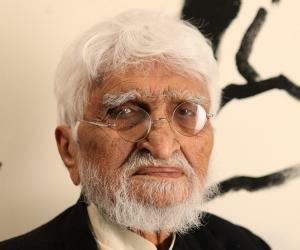 Born at a time when the country was experiencing nationalism at its peak, events and experiences from his personal life shaped much of his artistic career. The spirit of nationalism and the distress that came with partition were strongly portrayed on his canvas. He was later inspired by Francis Bacon’s expressionist paintings and minimalist art of New York. 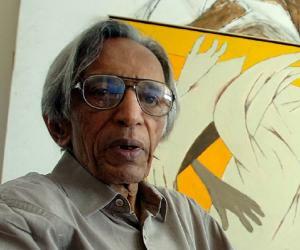 What made Tyeb Mehta the most noted artist of India was the fact the he was the first Indian contemporary artist whose works were sold for over a million dollars. 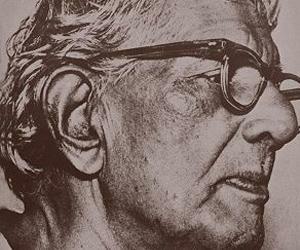 Furthermore, he also led to what eventually became the great Indian art boom in the country. Tyeb Mehta was born on September 26, 1925 in Kapadvanj, in the town of Kheda district in Gujarat in a Shi’ite Muslim family. During the partition of the country, his family chose to stay back in India, instead of moving over to Muslim-dominated Pakistan. He started off his career by working as a film editor at the Famous Studios in Tardeo, Mumbai in a cinema laboratory, along with his family. It was his profound interest in painting that took him to Sir J.J. School of Art in 1952, from where he did his diploma in painting. Later, he became a part of the Bombay Progressive Artists Group, the same group which boasted of having painting greats such as FN Souza, SH Raza and MF Husain. Inspired by the western modernism that the group professed, he moulded his paintings on the same lines. In 1959, he moved to London, where he spent the important years of his youth life. It was during this time that he was inspired by the works of Francis Bacon, an expressionist painter whom he became acquainted with in London. The latter’s work greatly inspired his future paintings.. In 1964, he moved to New York, where he was awarded a fellowship from the John D Rockefeller 3rd Fund in 1968. His painting style eventually evolved as he drew inspiration from minimalist art and his work came to be characterized by minimalism. Returning to India, he started living in Mumbai. In 1970, he made a short three-minute film, ‘Koodal’ which in Tamil means ‘meeting place’. Essentially shot at the Bandra slaughter house, the film won him his first Filmfare Critics Award. His painting of demon MahisHasura and Goddess Kali was the most celebrated work of the time and brought him immense fame and recognition. The way with which he dealt with the theme on canvas was greatly acknowledged. What’s more, the painting went on to gain 10 million Indian rupees at the Saffornart’s online auction in 2005. Same year, he created history with his painting ‘Gesture’ which was sold for 31 million Indian rupees to Ranjit Malkani, at the Osian’s auction. The deal made him the highest paid Indian contemporary artist at an auction. Also, he became the first ever Indian artist to be paid so handsomely by an Indian buyer. In 2007, the Government of India honored him with the country’s third highest civilian award, Padma Bhushan. He went into the wedlock with Sakina. The couple was blessed with two children, a son Yusuf and a daughter Himani. 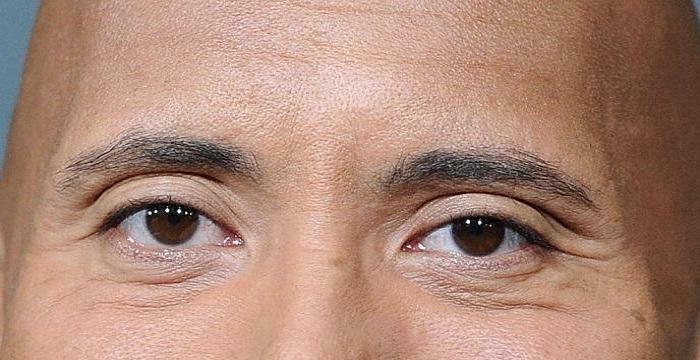 He died on July 2, 2009 due to heart attack. 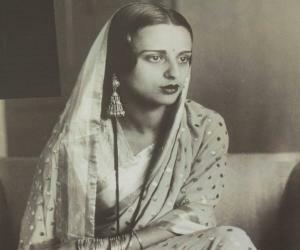 An extremely self-critical painter, Mehta had set such high standards for himself that for every painting that he sold at an auction, he destroyed seven to eight paintings, until he came up with the one, which according to him met his standards.